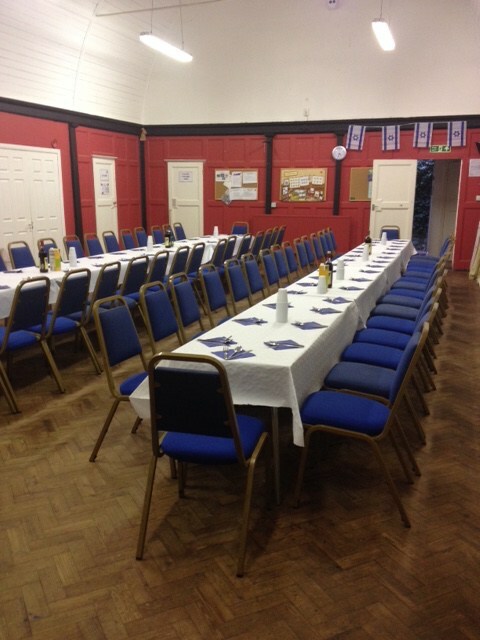 We offer a range of facilities to suit your needs, from a meeting rooms to the main synagogue sanctuary, which seats up to 100 for a dinner or party (at round tables). If you are looking for a venue to hold your next function, please do contact us and we will be happy to discuss your requirements. We offer four spacious and airy rooms supported by a fully-equipped kitchen. Outside catering, in-line with our dietary guidelines (vegetarian or permitted fish), can be arranged. For events with 50 or more guests, professional security will be arranged for an additional fee. Tea and coffee facilities are available for smaller groups or meetings. WIFI access is available is request. Please telephone the synagogue office on 01923 856110 for rates and to arrange a viewing.